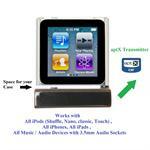 Two-in-one Bluetooth Stereo Transmitter AND Bluetooth Stereo Receiver. Dual Function aptX Enhanced Data Rate (EDR) Bluetooth Stereo Transmitter AND Bluetooth Stereo Receiver, with A2DP and AVRCP profiles. iAdapter attaches to your music/audio devices through the UNIVERSAL non-proprietary 3.5mm audio socket, and well designed to accommodate your music/audio devices protective casing. All in one extremely tiny size and light-weight package at 10mm X 15mm X 45mm and 0.3 oz (0.39" X 0.59" X 1.77" and 8.5g) with high performance and unique features. NO other Bluetooth Stereo Transceiver device comes even close to this size or weight or features. Transmits/Receives in high fidelity aptX when the corresponding Receiver/Transmitter supports aptX, or standard Bluetooth SBC when corresponding device does not support aptX. Implements AVRCP Remote controls for Next/Pevious/Play/Pause for BOTH iAdapter Transmitter and Receiver modes. 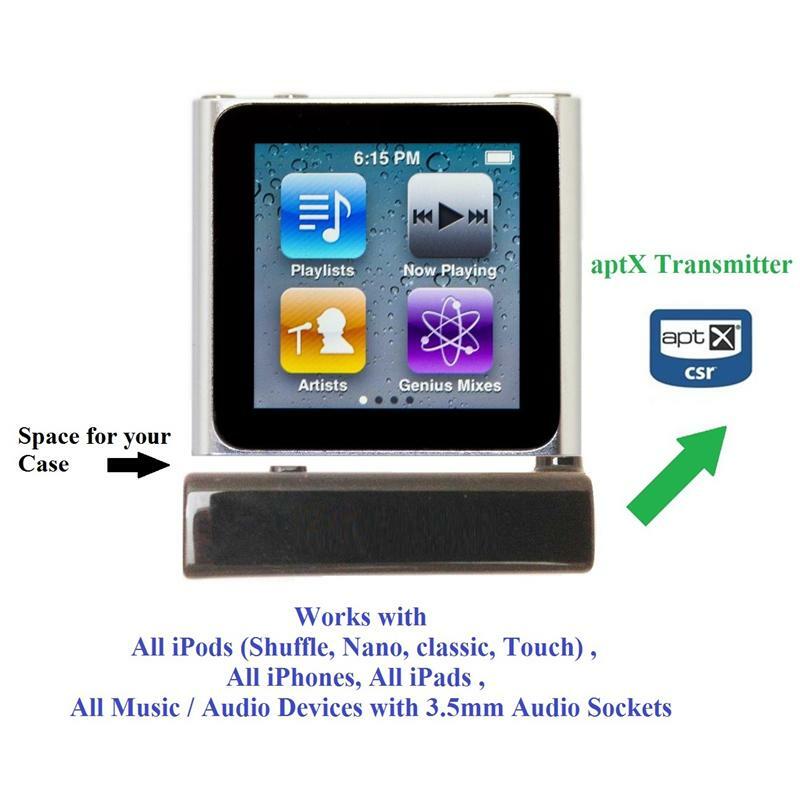 Transmitter AVRCP works with iPods/iPhones/iPads that support remote control commands through the 3.5mm audio socket, and most smartphones/devices that support remote control commands through the 3.5mm audio socket. iTRANSCEIVER: iAdapter aptX Transceiver (TRANSMITTER + RECEIVER) was developed based on our experiences with the i10s/i10 products, and numerous interesting discussions with and feedback from users of i10s/i10/A9/A10/A10m products. 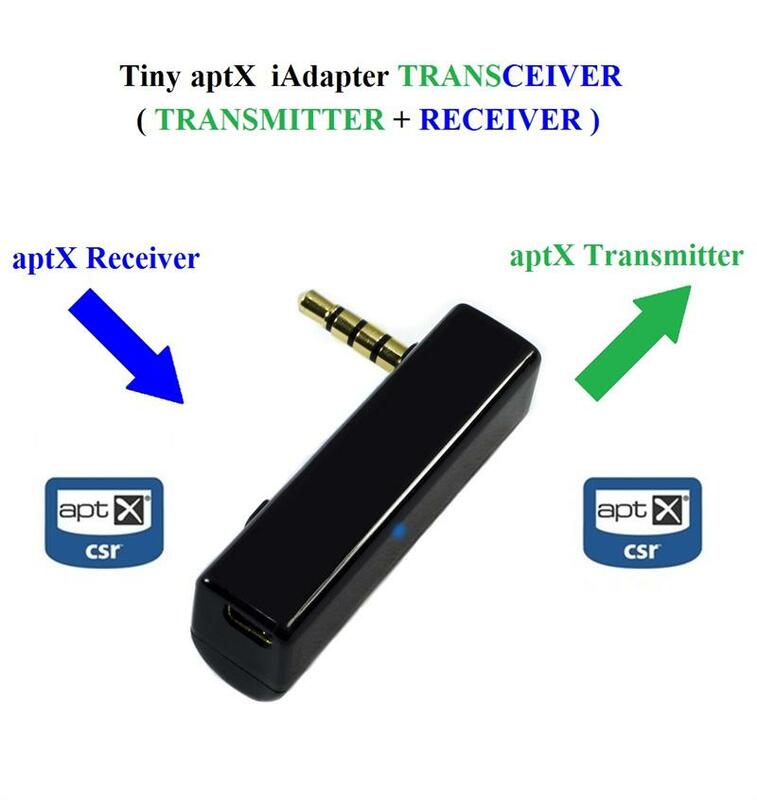 iAdapter aptX Transceiver supports BOTH Bluetooth Stereo (A2DP and AVRCP) Transmit AND Receive Functions in one single tiny unit. Transmit or Receive function can be selected from a button on the unit. 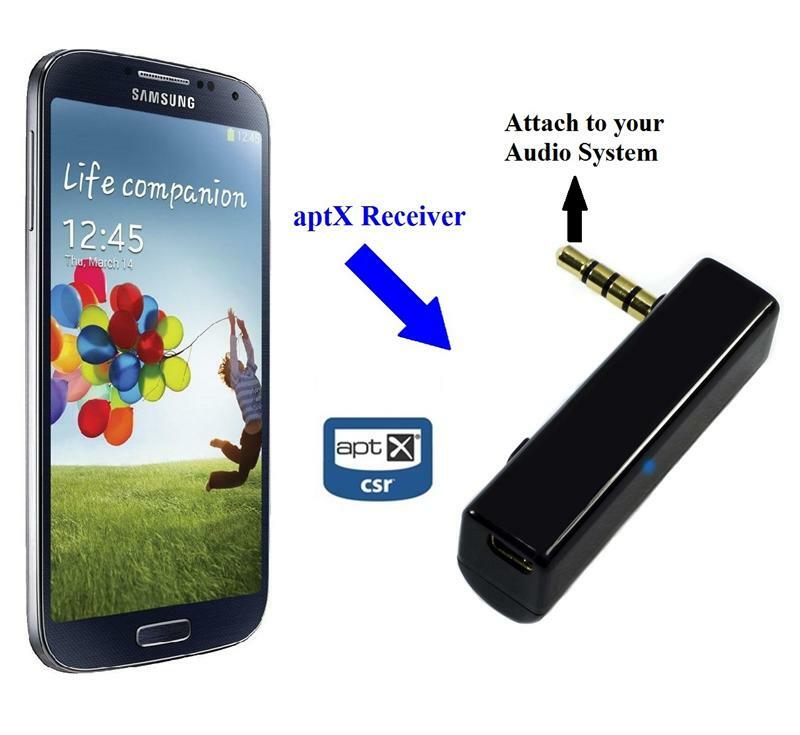 Transmits/Receives in high fidelity aptX when the corresponding Receiver/Transmitter supports aptX. 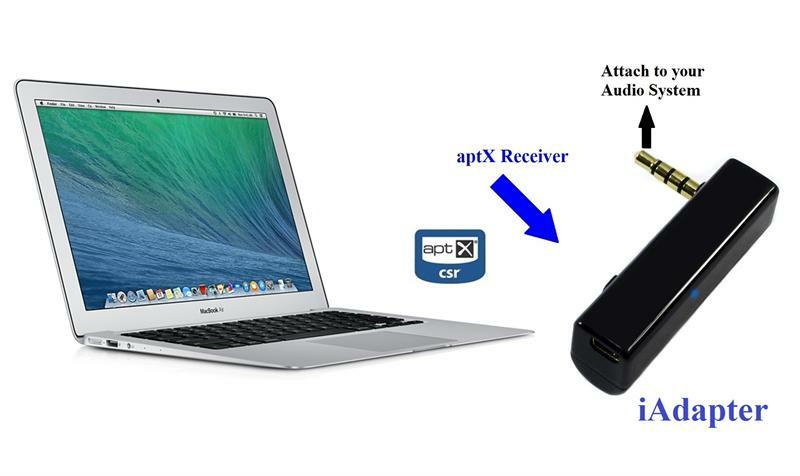 Transmits/Receives in standard Bluetooth SBC when corresponding device does not support aptX.